Ella is an associate in the international arbitration group based in London. Ella specialises in investment arbitration and international commercial arbitration. She has experience advising clients in the energy, natural resources and telecoms sectors in disputes against States. 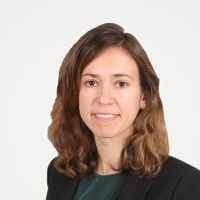 Ella is a volunteer advocate for the Asylum Support Appeals Project and regularly represents appellants on a pro bono basis at appeal hearings before the Asylum Support Tribunal in London.